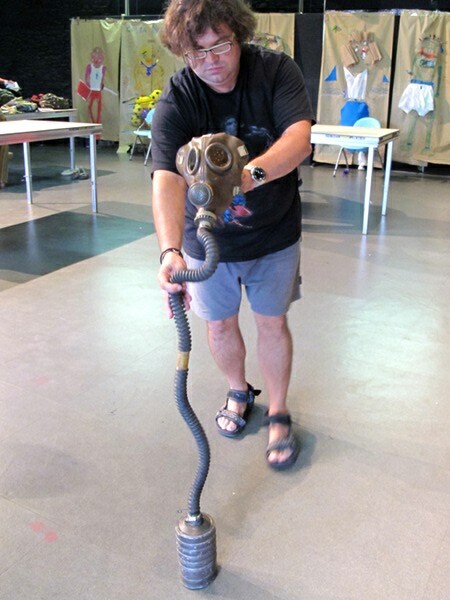 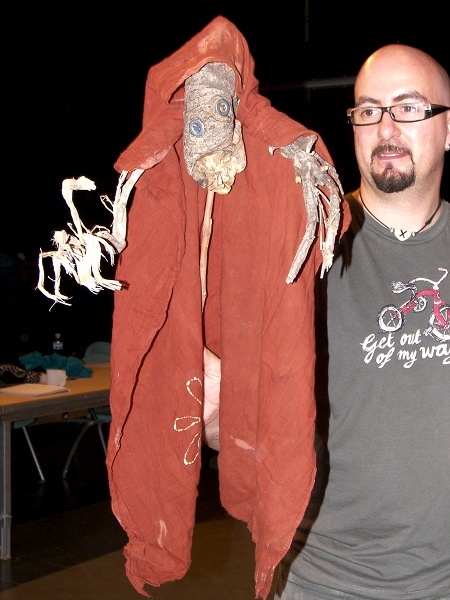 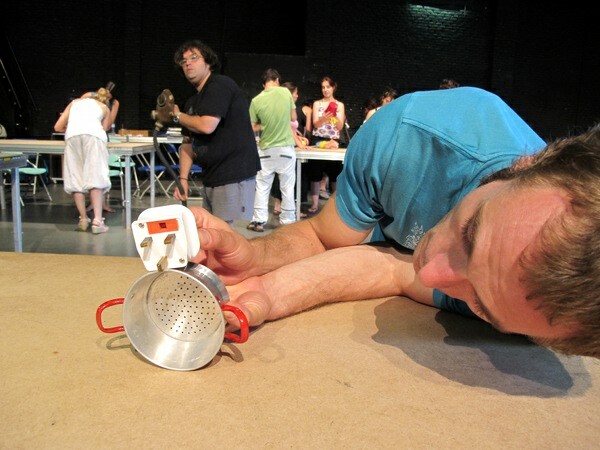 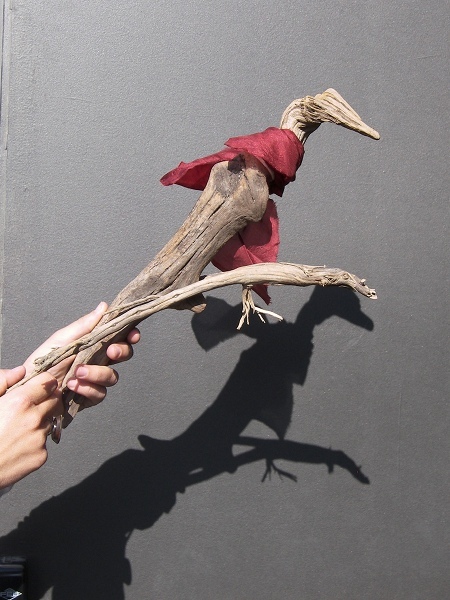 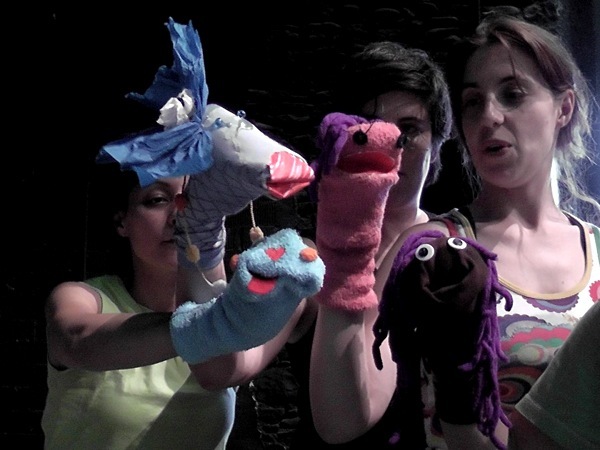 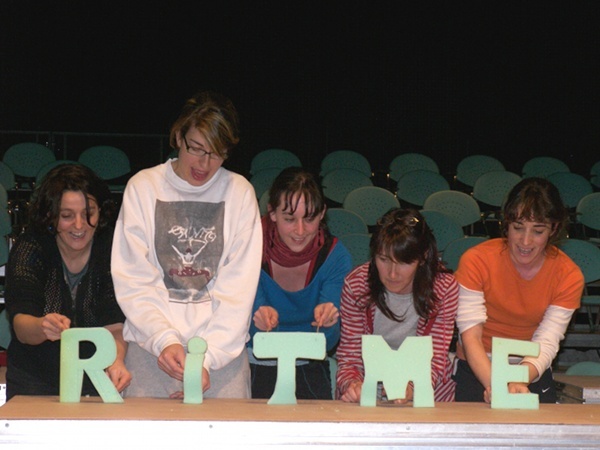 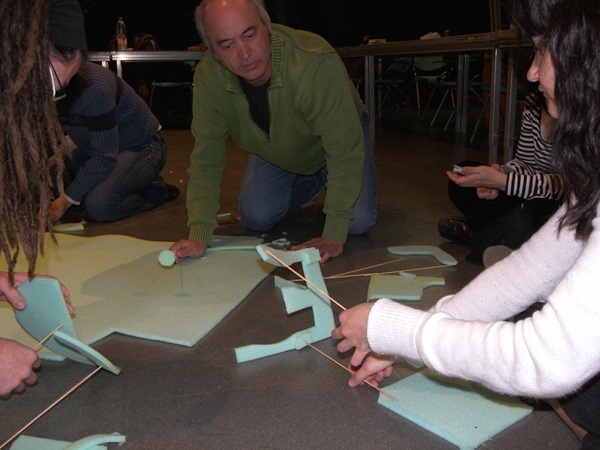 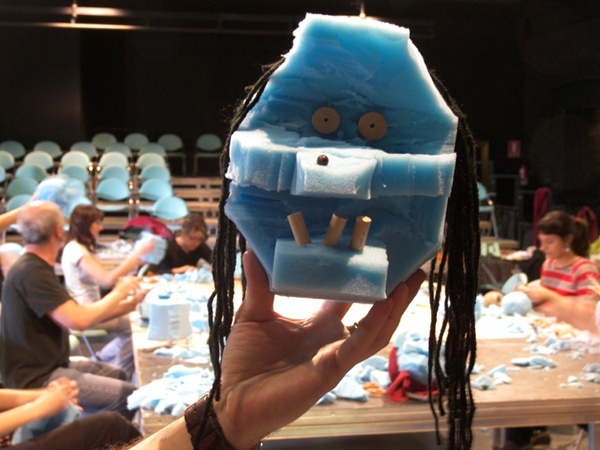 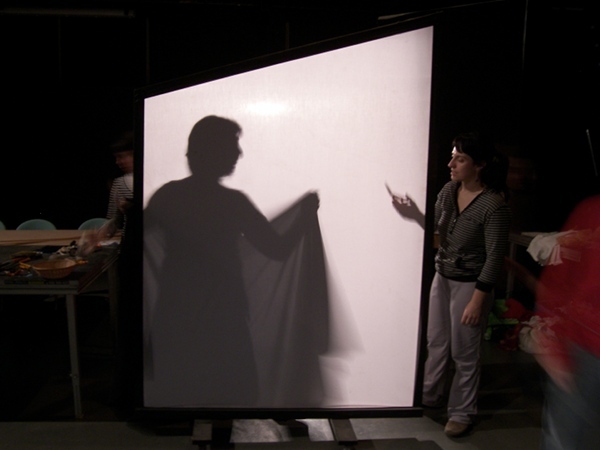 Every year I teach a 25 hour course within the Institut del Teatre‘s postgraduate diploma on Applied Theatre (15 ECTS) which examines the psychological, artistic and social reasons for using puppets and objects in the classroom and community. 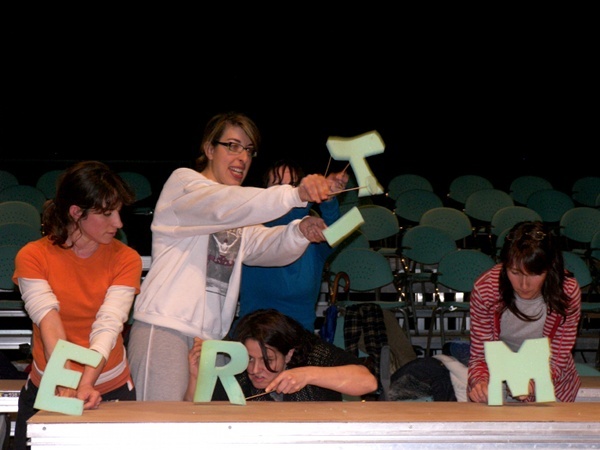 Students are usually professionals within their own fields and include drama teachers, social workers, school teachers, actors, art therapists and youth leaders. 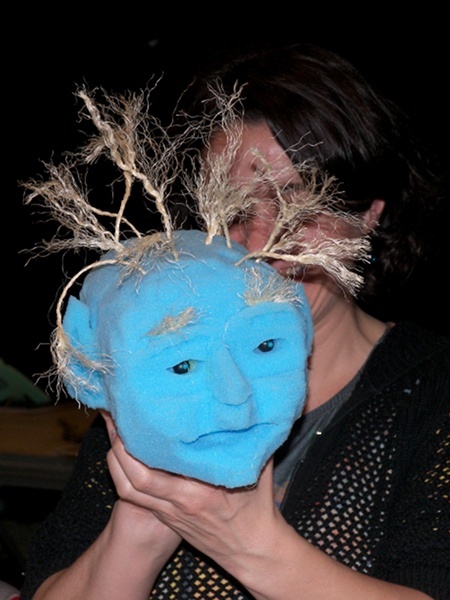 The objective is to dismantle the preconception that puppetry is merely light entertainment for young children and to reveal the puppet’s potential for symbolic communication and how animated objects can be used to deal with sensitive issues, taboos and language learning. 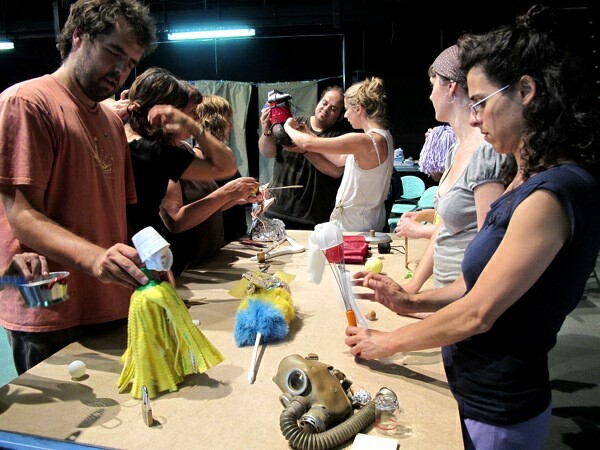 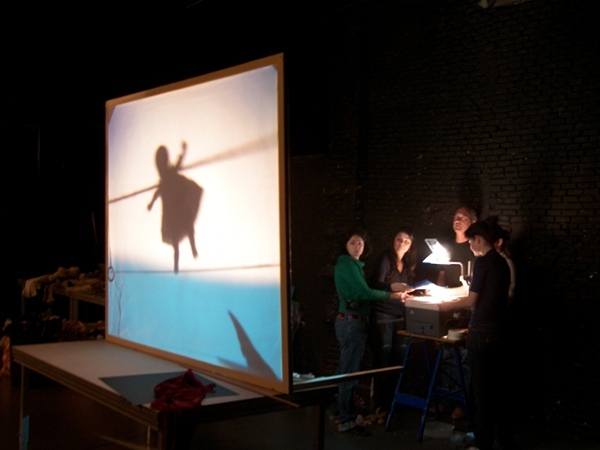 Participants are introduced to a variety of puppets – which often changes their ideas about what a puppet is – and are shown simple techniques for bringing them to life. 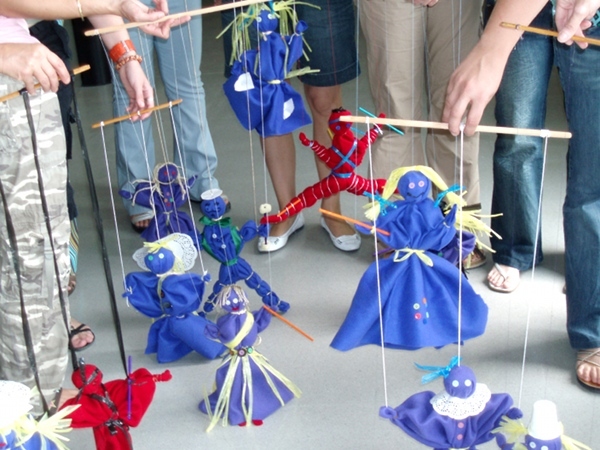 They develop their own manipulation skills by learning to animate a puppet as an accomplice or leader’s assistant and are given tools for getting the best out of puppets being performed by people who have no previous experience. 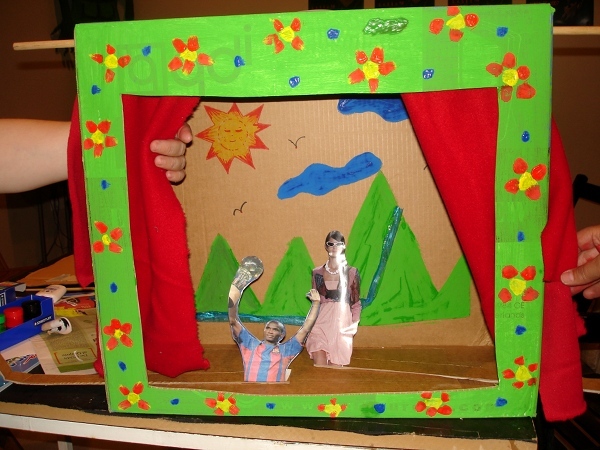 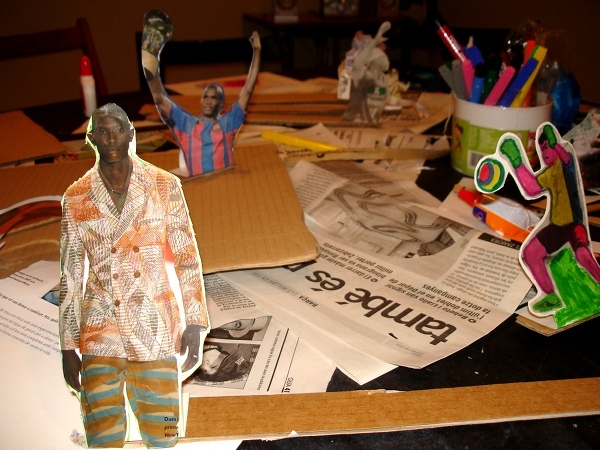 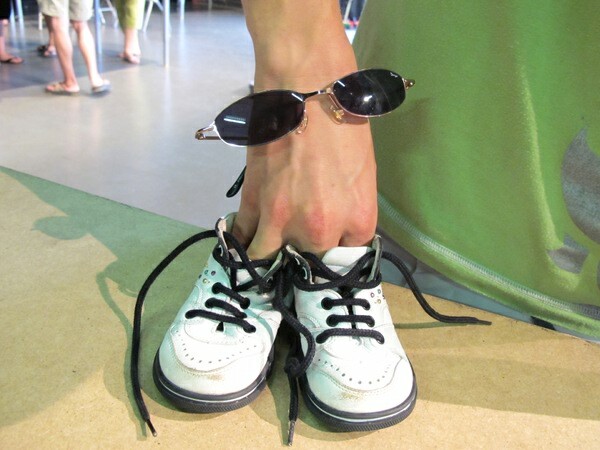 Using recycled materials and found objects, students make simple but effective puppets in different techniques. 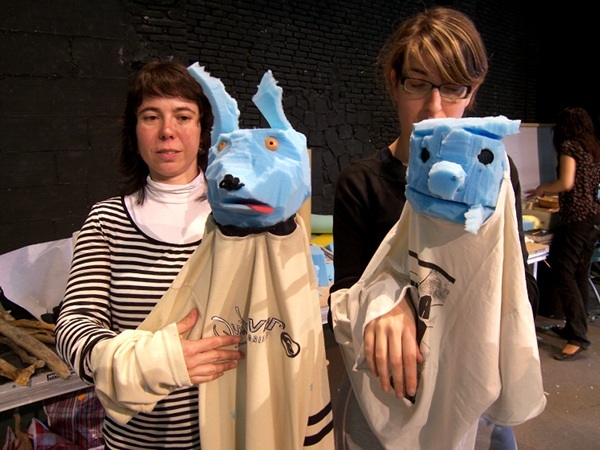 However, even the most basic figures are brought to life after being constructed as a reminder that puppets are not only sculptures but are a performance and communication tool. 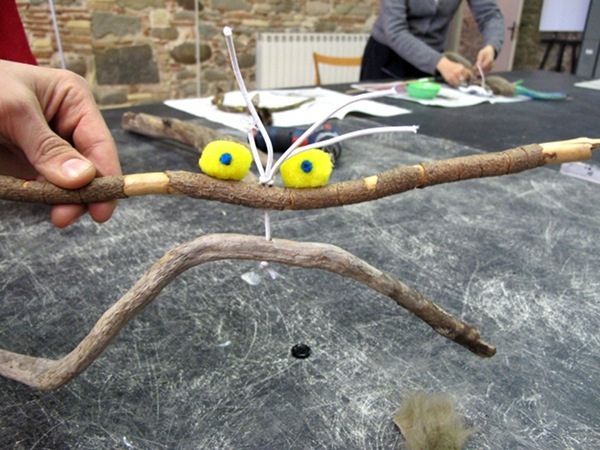 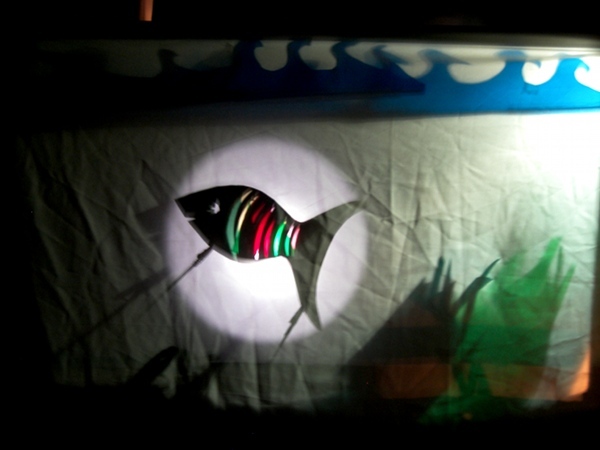 The course ends by developing project proposals for different ages – preschool, primary school, adolescent, adult – in which the psychological, practical and theatrical reasons for using puppets and objects with that particular target group are articulated. 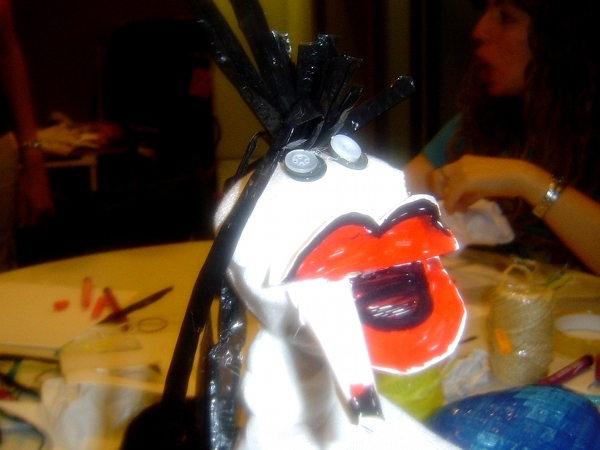 And whilst the rationale for the course is serious – puppets are a powerful tool for self-expression – there is always a lot of humour and laughter. 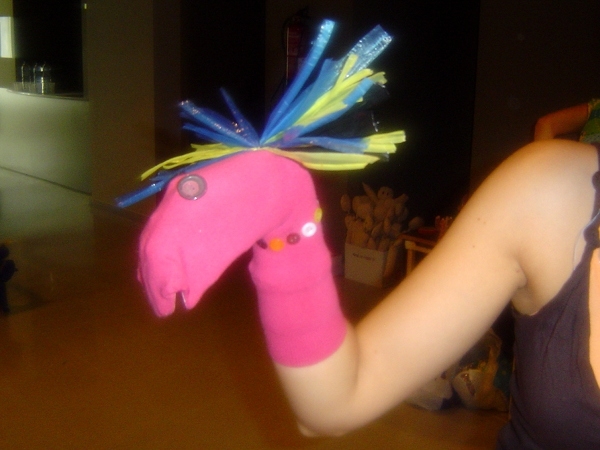 As one participant recently wrote: “gràcies per fer-me reconéixer el titella que porto dins” – thank you for helping me find my inner puppet. 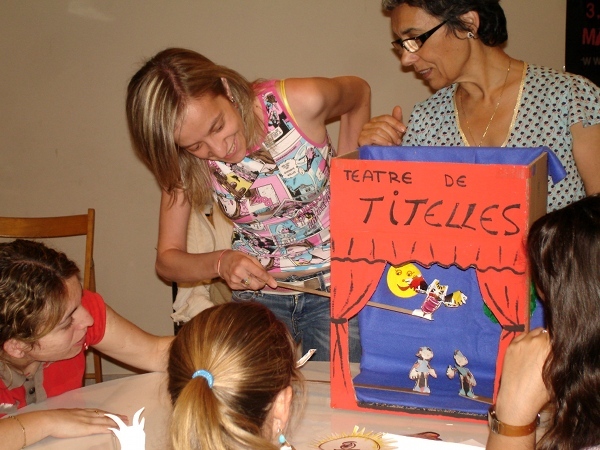 Photographs are from different year courses (2008-2012) and a few are from a similar course for school teachers by the CCOO union (Lleida, 2007).